I came across a file on my computer today entitled, "Counseling ideas" created Tuesday, August 10, 1999–six days before I opened Collegewise. I remember writing it on the last day at my former job and saving it on, yes, a floppy disk. Some of the suggestions look pretty dated eleven years later (like asking colleges to mail me applications). But it's nice to see that we've made some version of all of these happen since then. And reading it was a little bit like opening up a time capsule. Write monthly newsletters home to parents. 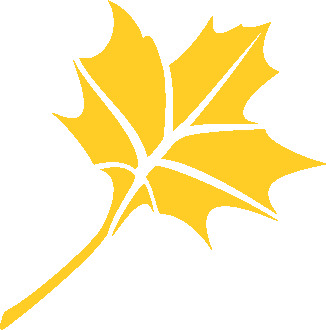 Help them understand more about admissions and why I do things the way I do. Do a lecture series as part of the program, things like interviews, college essays, secrets of admissions, etc. Student panels–former students who are freshmen in college come back at Christmas and discuss their experiences. The focus of this business should be on cultivating fulfilled students and helping them find the best college for them. We don’t want students to spend 4 years just trying to make themselves competitive for competitive colleges if it makes them unhappy. Teach basics of the college essay during free speeches. Show how quickly we can make an impact with smart advice. Encourage kids to come to meetings without parents. They'll talk more. Make files for students–maybe include a Polaroid. Things to have in a brochure: photos of kids/testimonials, big picture of “graduates” of program with their college sweatshirts, let people know we'll speak at PTA’s, community events, etc. We also have newsletters for teachers/counselors, kids and parents. Starting in September, request applications from the most popular colleges. Keep hard copies of colleges' applications filed so you always have the most current versions to work off. At the conclusion of the senior year, have students and parents fill out evaluation form that includes space for testimonials. Develop a training program for new counselors. A 30-40 hour rigorous one. Include a practicum where they complete 20 hours of counseling work with me before they can meet with kids. Make a manual and materials. Possibly sell the training program in the future to other institutions. What do we expect from kids at Collegewise? A father asked me recently if the Collegewise message was, "It's OK to expect less." It's not an unreasonable question given how much time we spend preaching that you don't have to have straight A's, perfect test scores, or a degree from a famous college to be successful. Still, I think he's missing our point (or we're not explaining it well enough). I think our message is, "It's OK to expect more." to fail? I don't agree. We expect more than that. We expect kids to throw themselves into their classes and try their best, but to do it knowing that scraping out a B in a tough course is something to be proud of. We expect kids to develop a love for learning so they have an answer when someone asks them what their favorite class is. We expect kids to have enough initiative and gumption to find and commit to activities they really love, not to just plod reluctantly through activities they've heard colleges like. We expect kids to appreciate what a wonderful opportunity college is, to be excited for the chance to have four years of learning, self discovery and fun regardless of where they go. We expect kids to step up and actively search for colleges that are right for them, not to sit back and be passive observers in their educations. And we expect parents to encourage and reward the process, rather than the outcome. Raising a nice kid who works hard, who's respectful of his teachers, who's nice to his peers, who likes school and enjoys his activities, all of those things are much more important than a GPA, test score or an admissions decision from a particular college. So yes, we have higher expectations for our kids at Collegewise. And I think it's good for parents, kids and counselors to expect more, too. It's hard to judge your chances of getting into college based just on numbers. The average GPA and test scores that colleges share often don't tell the whole story. Sometimes they skew those numbers to improve their status in the college rankings. And even when you're reviewing a school who shares its numbers honestly, if the college asks for other information, like activities, essays, letters of rec or an interview, then there's a human element to the evaluation that numbers don't measure. But accurate numbers still have their place. When one of our Collegewise students wants to know how she stacks up to applicants at Duke or Washington or Boston U or DePaul, we start by looking at the data for the class we worked with last year. What were their GPAs and test scores? How many AP or IB classes did they take? And of course, where did they get in? It adds a scientific element to the process that helps us be even more accurate as we help our students pick appropriate schools. Allison in our Irvine office is working on a behemoth project right now to bring together all of the admissions results from our four offices for the class of 2010. Here's a peek at the project (I blurred out the names and high schools for each student). When she's done, we'll have data on over 200 students from four different states, totaling over 1,500 college applications submitted for the class of 2010. We still think there's an art to picking the right colleges with kids based on factors other than numbers. But the art works a lot more effectively when you've got the science right. We just ordered this gong for our office. It's quite large (24 inches high by 22 inches wide) and we're pretty excited about it. We're big on celebrating during the college admissions process. But we don't limit our celebrations to when the famous schools say yes to our students. We think that efforts should be applauded independently of the outcomes. When students work hard with us to find the right schools, write essays that help the admissions committees get to know them, complete thoughtful college applications with personality and maybe a little soul injected into them, and do it all months before the deadlines, that's worth celebrating–no matter which colleges say, "Yes." Did you just submit your last college application? Bang the gong! Finishing your college applications is a celebration-worthy event. So tell the world (or at least our office). 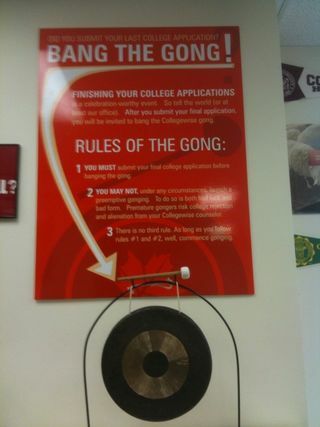 After you submit your final application, you will be invited to bang the Collegewise gong. 1. 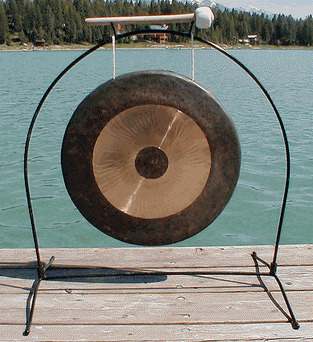 You must submit your final college application before banging the gong. 2. You may not, under any circumstances, launch a preemptive gonging. To do so is both bad luck and bad form. Premature gongers risk college rejection and alienation from your Collegewise counselor. 3. There is no third rule. As long as you follow rules #1 and #2, well, commence gonging. What would happen if you turned off your phone and your email and just focused on your work for a couple of hours? No emails, no phone calls, no texts. Don't worry; they'll be there when you come back. What if you told your friends and family you weren't available during that time. What if you knew that for the next 1 or 2 or 5 hours, not a single thing or person would interrupt you. How much work could you get done? How much more focused would you be? We're going to try it. checking on the progress of our students. We won't even knock on each other's doors and ask if we need anything from Staples or if we'd like more coffee. Quiet time will be sacred. We think it's going to help us get more done in less time and be even more effective in our work. We think we'll get to spend more time with the families in our program. We'll also get to leave work at a reasonable hour more often, even during busy season. 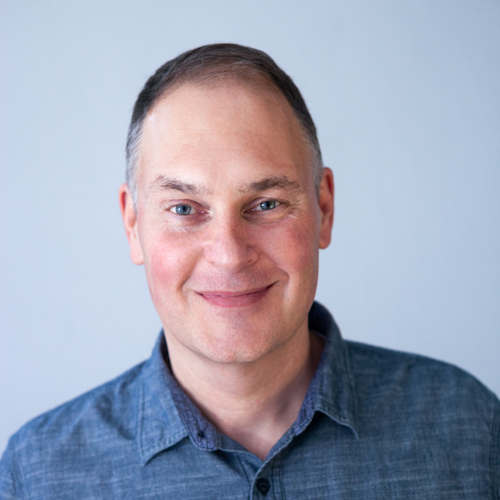 As great as constant communication may be, we're all having to contend with a lot more interruptions than we ever have before. There's something to be said for focused, uninterrupted quiet time to just get your work done. We're going to try it; I think students should, too. Thanks to Rework for the suggestion. Both parties have kept the news under wraps until it was appropriate to reveal it, but today we can finally announce our newest college counselor. She's Stefanie Potts. First off, Stefanie's someone we like. She's smart. She's a great writer and communicator. And most importantly, she's a good cultural fit here–she's serious about work without taking herself too seriously. Since October 2007, Stefanie's been an assistant director of undergraduate admissions at USC. She's evaluated over 4,000 applications, interviewed over 400 applicants, and each year conducted over 75 presentations. She also worked in the admissions office at Wash U as an undergrad. In fact, we really got the sense that Stefanie has been working in college admissions since she was about 18. That beats all of us. Why did we pick Stefanie? First off, we didn't find Stefanie; Stefanie found us. A year ago, she sent us a cover letter, a great cover letter that she'd obviously sat down and written just for us. It was clear she'd taken the time to read our website and get a sense of what we were all about. Then she showed up at my college essay workshop for counselors at an annual conference we attend. No assistant director of admissions at a selective college needs to be taught anything about college essays. I think she was sizing us up. I think she wanted to see if we really had the goods and if we seemed like the kind of people she wanted to work with. I have to admit, I was kind of impressed by that. But when we finally had her come visit us for an afternoon, it was clear just how perfect she is for this job. To be a great college counselor here, you've got to be someone that kids will like and parents will trust. She's got that. Stefanie knows a lot about college admissions. She wants to use that knowledge to help kids navigate the process better. And she wants to do it here. We liked all those things. Stefanie will be starting in our Irvine, CA office in June. She'll be helping seniors with college applications this summer and fall, conducting seminars for our Collegewise families, and fielding our questions about what really went down with Pete Carroll. So, everyone say hi to Stefanie Potts! We can't unleash our full college counseling potential in just 140 characters. But we can post the links from our blog entries to Twitter for those readers who prefer, well, Tweeting. And if you were previously following us on Twitter and were wondering what happened to our account, that "Wiselikeus" wasn't us. It was someone pretending to be us, which was a little weird. Families ask us that sometimes in our introductory meetings. It's a fair question, and our answer doesn't satisfy every family who asks. Not everyone defines college counseling success the way we do. If what the family really wants to know is how many of our students get into Ivy League schools, they're probably not going to like the answer–we don't know. Some get in every year, but we don't keep a running tally. That's not how we measure whether or not we (or our students) did a good job. How you measure success in anything will define what you do and how you behave while you're doing it. I don't want to turn away a "B" student just because he won't add to our Ivy League tally. I don't want to feel pressure to tell the high achiever who loves Oberlin that she should really consider Princeton too, even though she has no interest in it. And most importantly, I don't want to play a role in perpetuating the misguided belief that the best schools are the famous ones, and that a student's failure to gain admission to one means that he was somehow inadequate. him especially, but for us, too). If a student has college options, if he's excited about where he gets to go, and his family is itching to get the parent version of the school's sweatshirts so they can attend orientation weekend in style, we think that's a good success for everyone involved. That measurement means we can work with families who care more about fit than they do about prestige. We can encourage students to be themselves in their applications and essays, to research colleges and find ones they love even if they haven't heard of them yet, and most importantly, to have some fun while they're doing it. If you're a student, a parent or a counselor who's not enjoying the process as much as you'd like to, the fastest way to change that is to change how you measure your success. Find out how selective colleges and universities really evaluate students. Learn Collegewise strategies students can use to improve their chances of admission. All attendees will receive a free copy of "Collegewise Admissions Secrets," a collection of ten articles by our college counselors on topics like, "Secrets of Ivy League Admits," "The Most Overused Essay Topics and How to Avoid Them" and "How B and C students Can Show Their Potential to Colleges." If you live in Southern California or the Pacific Northwest (Bellevue, WA), we'd love to see you at one of our seminars. Dates, times and locations are listed below.